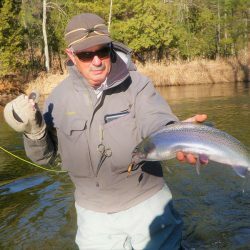 The Pere Marquette River fished a little better over the last week and a half. 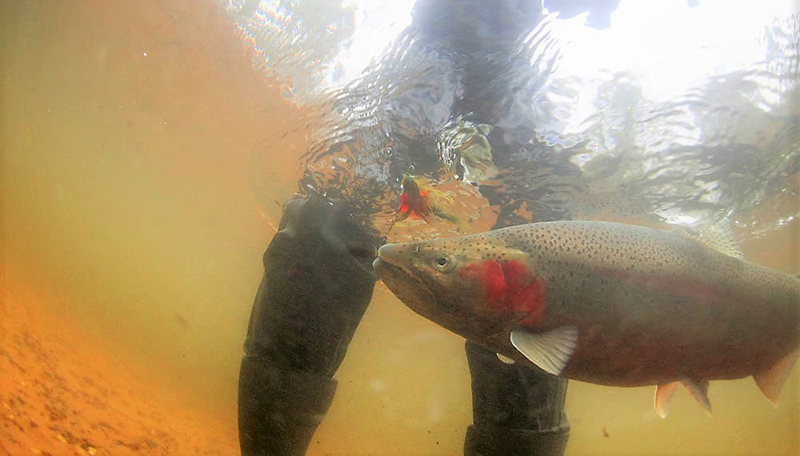 We saw a rise in water the beginning of last week, this moved some fish around and gave the river a decent stain. The Swing and Egg bite was much better with fish coming out into there normal lies. Now the river once again is dropping and getting cold in temperature. Look for fishing to get tough as we are looking to see some of our Coldest Air Temps yet this coming weekend and next week. Shelf Ice will start to form, making wading difficult. Also make sure if your putting a boat in anywhere have some sand handy and a shovel. Freezing rain for the last couple days is making the ramps and parking areas pretty sketchy. 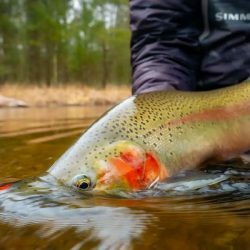 Flies try smaller Bait and Sculpin patterns on the Swing with cooler water temps. For Nymphing with Indicator’s try Egg flies lighter color’s along with Nymph’s. 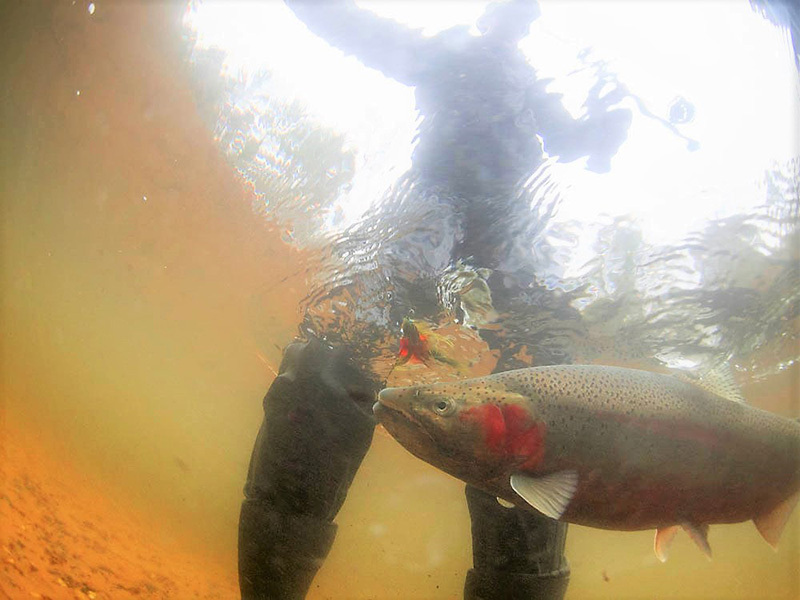 Hex’s, Caddis and Small Steelhead Buggers will fish well in colder water. Pics last week. 1/10- 1/16 : Good friend, guide and photographer Kevin Feenstra joined me for a day on the water this week. We saw a decent Swing bite and Kevin took some sweet shots. 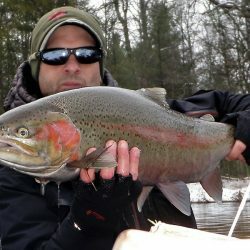 You can check out more of Kevin’s awesome photos and guide service at http://feenstraoutdoors.com/wordpress/ . 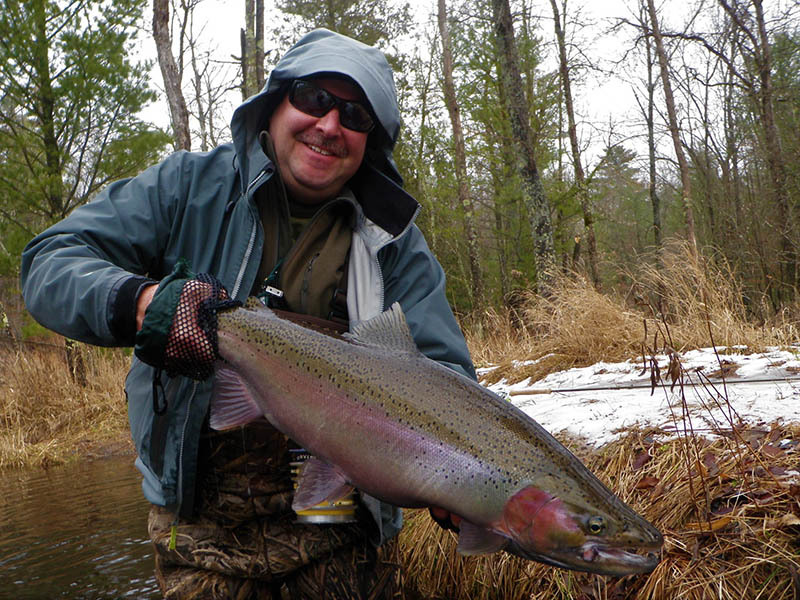 He has a great staff of Matt, Drew and Cody that all love to swing flies for Steelhead and Trout on the Muskegon River. Andy joined me on Sunday we had a decent bite on Egg’s and Nymph’s despite the colder air temps and bright Sun. 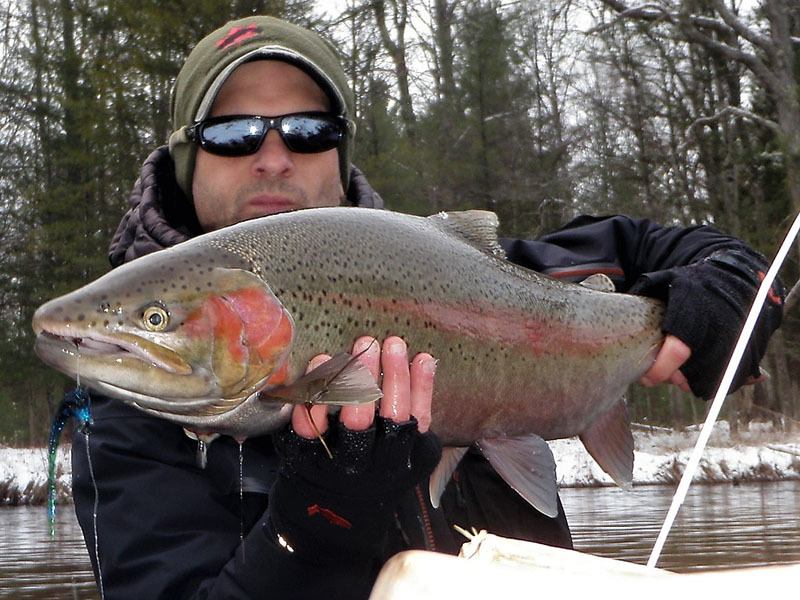 Andy found this fresher Buck on a Clown Egg and the floating line. 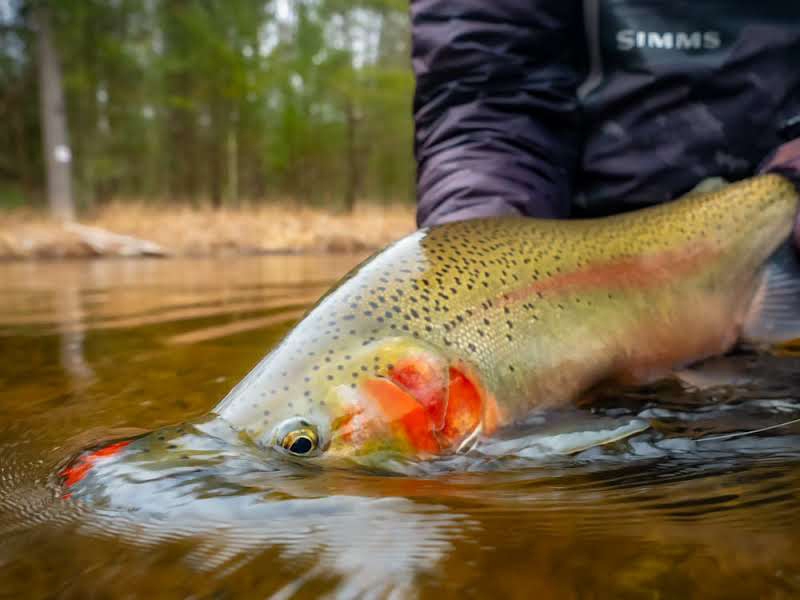 Last week when the water was up Clint www.redmooselodge.com once again did well, using the floating line and Indicator fishing big Clown Egg’s in dirty water. Myself I have a had a pretty good two weeks of Swinging flies. 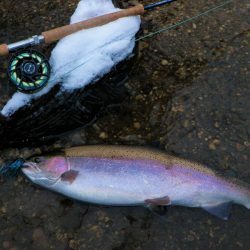 I had a great afternoon last week getting these two fish before dark. 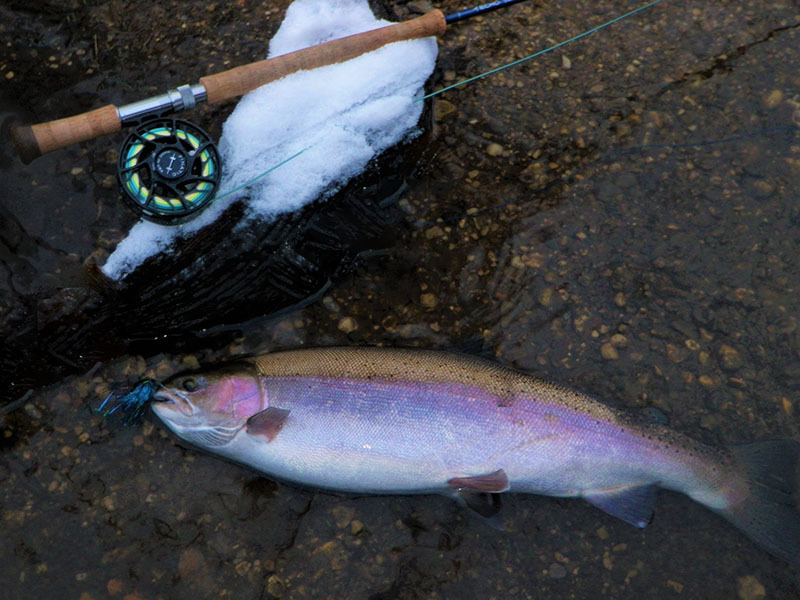 Walt Grau ( Spey Rod Outfitters) with a nice little Chromer on the swing, we were enjoying a sunny day before the Arctic Blast hits this weekend. 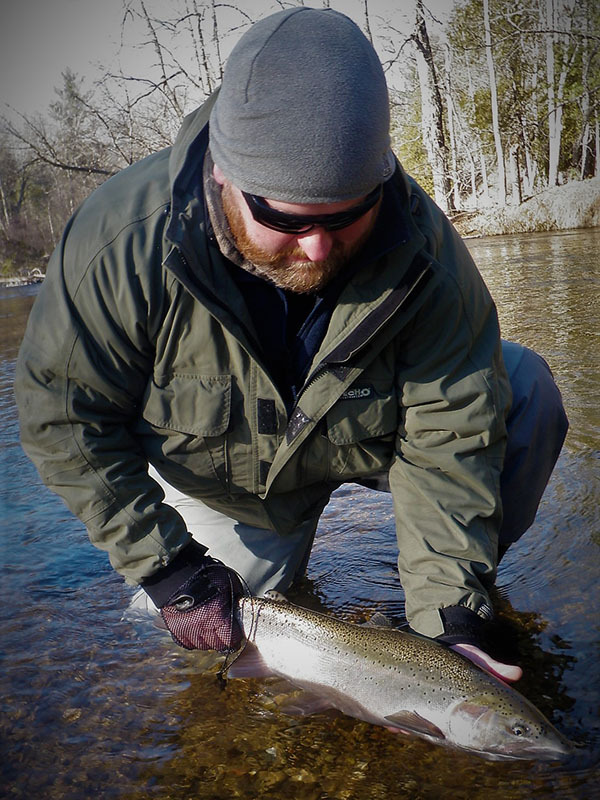 Was a great week with friends chasing Steelhead on the Pere Marquette River, before the weather gets ugly. 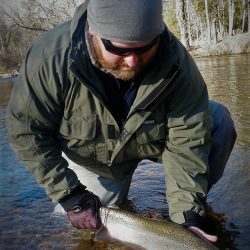 FEENSTRA GUIDE SERVICE | Committed to great service on the Muskegon River! 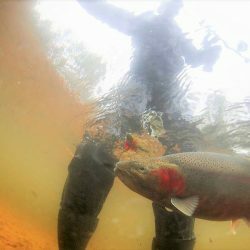 Welcome to the Feenstra Guide Service website!. 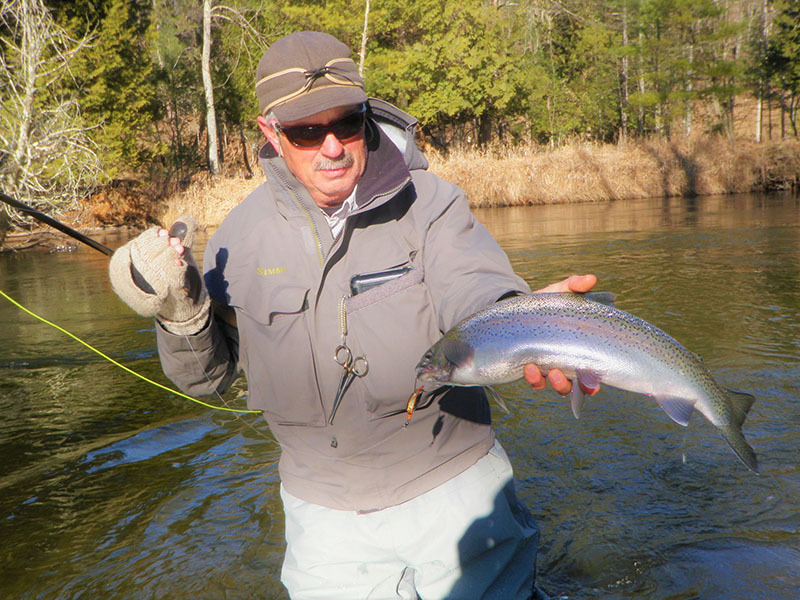 We have been in business for nearly two decades, providing our customers a great experience at every turn of the river. We are committed to our clients and to the river. River front lodging, remodeled rooms/cabin, WIFI, Hot-Tub, Cont. Breakfast. 888-939-6667. 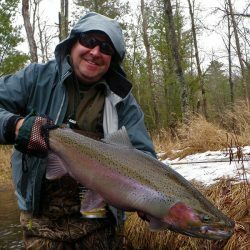 We offer fishing guide services for fly or bait & tackle on the Pere Marquette, Manistee and Muskegon rivers.